Edge Webware’s service offerings are comprehensive, because we understand that a holistic approach to our clients’ Web needs isn’t simply beneficial – it is absolutely essential. For any Web project to achieve its greatest success, it must incorporate an integrated, concerted effort from numerous touch points, perspectives, skill sets and talents, and subject matter experts. A website without the proper SEO effort is doomed to never be found. A proper SEO effort built on top of an ill-equipped website will yield unpredictable results. A Mobile App that is confusing and difficult to use will be installed, used once or twice, and then quickly forgotten. The greatest concept for a new social platform has no chance at success if the programming behind it is buggy and unpredictable. An award-winning beautiful design is utterly useless without the implementation of an equally elegant User Experience. Only with a team that understands the intricacies of how to implement Web projects properly can you attain the success that you desire for your next Web or Mobile project. And that’s precisely why you need Edge Webware. Our unique team of seasoned veterans, mixed with new and fresh talent brings together the critical disciplines involved into one cohesive team – a team whose goal is to ensure your success. A team who has the experience of doing just that for our clients. Just like the ninjas you’ve seen in movies, our ninjas are fully equipped with the tools to accomplish even the most difficult assignments. Our holistic approach that boasts a comprehensive array of services, a focus on user-centered design, competitive pricing, and our EdgeSure Guarantee make Edge Webware the right choice for any business looking for Web and Mobile App design & development services. 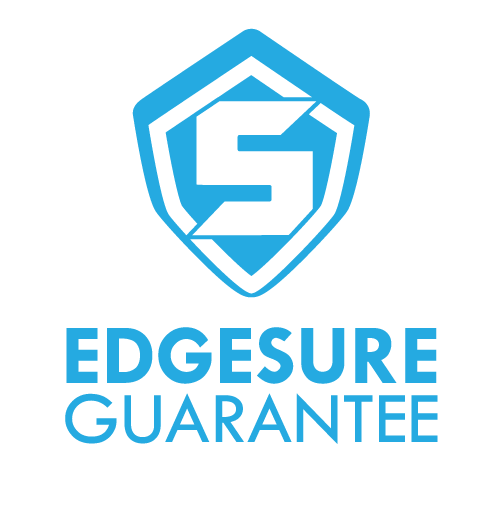 Please contact us for more information on our EdgeSure Guarantee.